Are you missing a tooth or multiple teeth? 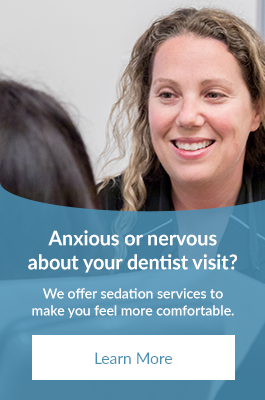 At Expressions Dental Care in Richmond Hill, our dentist Dr. Bengall performs dental implant treatment to help restore the look of your smile. Expressions Dental Care offers placement and maintenance of dental implants all under one roof. A dental implant serves as the tooth root of your new tooth. It is only a few millimeters long and carefully engineered, so the dentist can firmly anchor it in your jaw bone like your natural tooth and keep the replacement tooth stable. On top of the implant, a crown or bridge will be used as the visible part of your new tooth. It is made of durable material and individually designed to make it look and feel like your natural teeth. Our dentist, Dr. Bengall, has been performing dental implant procedures for more than 25 years. With Dr. Bengall's extensive experience and knowledge, feel calm knowing that you're in safe hands. Dental implants look and feel like your natural teeth. The colour, shape, and contour of the new teeth can be made to match your natural teeth. Dental implants bring back the full function of natural teeth. No matter how hard, crunchy, or sticky the food, dental implants can easily break down foods like natural teeth. And they will restore your speech so you can speak clearly and confidently with your family and friends. Dental implants do not harm neighbouring teeth like some alternative treatments can. What's more, they help restore your oral health and the aesthetic look of your smile. Dental implants are fixed to your jaw bone, which makes them stable and usually more comfortable than other restorations. On top of that, they are made of biocompatible materials, which means that your body tolerates them easily. Dental implants are very durable. With proper care and good oral hygiene, dental implants may last for many years. We're accepting new patients! If you have questions about dental implants or would like to book an appointment with Dr. Bengall, please contact us.